Mickie passed away Monday, March 30, 2015 at her home in Alamo Township. She was born April 3, 1953 in Kershaw County, SC, the daughter of Thomas and Shirley Owens. For 22 years she had worked at Perrigo. On September 23, 1978 in Alamo Township she married Dennis Hiemstra. Mickie was a hard worker who was happy to stay busy and took pride in doing her job well. She loved to go shopping, spend time with her friends, work in her flower garden, do crafting projects, be out in the sun and most of all she loved being with her family. Surviving are her husband, Dennis; children, Trey (Tonya) Hiemstra and Chantel (Kevin) Hopp; grandchildren, Kristin, Brittany, Logan, Kaitlynn, Macey, Nick and Jonnie and her siblings, Kathy, Delores, Jeff and Calvin. Friends may meet with Mickie’s family Saturday, April 4, 2015 starting at 10:00 A.M. at the Winkel Funeral Home, Otsego where a Celebration of Mickie’s Life will be held at 11:00 with Celebrant Molly Wieber officiating. A private burial will take place at Alamo Center Cemetery at a later time. Contributions in memory of Mickie may be made to Wings of Hope Hospice, The American Cancer Society or to the charity of your choice. Betty passed away Saturday, March 28, 2015 at Alamo Nursing Home. She was born May 6, 1922 in Wayland Township, the twelfth of thirteen children of the late William and Mary Caroline (Holderle) Wahmhoff. On August 30, 1941 she married Richard Meacham who passed away in 1990. She always loved music and played many instruments without ever having a lesson or learning to read music. In her early years, before WWII, she and Richard formed a band and played country music at the Otsego Grange Hall. Betty had worked as an aide at Alamo Nursing Home and had also driven bus for Otsego Public Schools at Alamo Valley School. She loved doing crafts, gardening, camping, raising her five children and later spending time with her eight grandchildren. Surviving are her children, Janice Gerhart, Sherry (Donald) Hurlbut and Richard Meacham; seven of her eight grandchildren; 15 great-grandchildren and 8 great-great-grandchildren. She was preceded in death by her parents; husband, Richard; two daughters, Bonnie Esman and Karen Clingan; a granddaughter, Tammie Moorlag and her husband, Joe; daughter-in-law, Sharon; sons-in law, Harvey and Bob and by all twelve of her siblings. Friends may visit with Betty’s family Wednesday, April 1, 2015 from 6-8 P.M. at the Winkel Funeral Home, Otsego where a Funeral Celebration of Betty’s life will be held Thursday at 11:00 A.M. with Celebrant Bill Rose officiating. Burial will follow at Green Bower Cemetery in Alamo Township. Contributions in memory of Betty may be made to Alamo Nursing Home or Gentiva Hospice. Barbara Knowlton of Otsego, passed away Friday, March 27, 2015 in Alamo. Barbara was born May 21, 1944 in Plainwell to David and Mary (Sage) Knowlton. A complete obituary with Memorial Funeral arrangements will be posted the 2nd week of April. Althea Hoover passed away Thursday, March 26, 2015 in Alamo Township. Mrs. Hoover was born July 23, 1918 in Mears, MI to Elias and Ethel (Read) Keen. Althea went to school to become a beautician and worked several years as a stylist. She and her husband built a grocery store in the Vicksburg area which they owned and operated for 10 years. She then was employed for 21 years at Kal-Equip in Otsego and later moved to the Upper Peninsula where they built, owned and operated an antique store for 15 years. Althea enjoyed antiquing and glass collectables. On July 24, 1937 in Battle Creek she married Ralph Hoover who died in 1999. Also preceding her in death were her mother in 1981; her father in 1998; and a great-great-grandson, Tanner Reed in 2007. Surviving are her children, Sueann Hoover Morse (Jack Clark) of Richland, Ronald (Darlene) Hoover of Otsego, Ruthann Hoover of Alamo and Roger (Maggie) Hoover of Martin; 15 grandkids; 23 great grandkids and 26 great-great grandkids. Friends may meet with Althea’s family from 2 to 4 P.M. Sunday at the Winkel Funeral Home, Otsego, where a funeral service will be held at 1:00 P.M. Monday, Pastor Daniel Ferraz officiating. 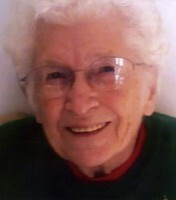 Contributions in memory of Althea may be made to Reverence Home Health & Hospice of Kalamazoo. Mr. Joseph R. Howell of Richland, Michigan, passed away Wednesday, March 25, 2015 in Plainwell. Joseph was born October 25, 1925 in Grand Rapids, the son of Joseph and Virginia (Hope) Howell. In February of 1950, he married Beverlee Silcock, who survives. Also surviving are 4 children, Alan Howell of Chicago, Susan (Ben) Quick of Grand Haven, Debra Snyder of Kalamazoo and Gary Howell of Richland; 4 grandchildren; 5 great grandchildren and one on the way; 1 great great granddaughter, and his sister, Constance Ann of Florida. Preceding him in death was a son, Ronald Howell in 1981. A memorial gathering will be held Saturday, March 28, 2015 from 10:30-11:30 A.M. at the Winkel Funeral Home, Otsego. Interment will be in Genesee Prairie Cemetery. Robert A. Paradine of Allegan, Michigan, passed away unexpectedly Wednesday, March 25, 2015 at his home. He was born December 29, 1963 in Kalamazoo, the son of David and Donna (Rohn) Paradine. After graduating from high school, Bob enlisted in the U. S. Air Force, where he served for over 6 years. On June 10, 1992, he married Doris Syers, who survives. Also surviving are 2 sons and a daughter, Bobby Paradine, Jr, Andy (Brook) Paradine and Jenny (James) Spears; a granddaughter, DeVonna Mayfield; 2 special grandchildren, James Spears and Destiny Long; his mother since he was four, Janice Paradine Rustenholtz; brothers and sisters, Mark (Shawn) Paradine, Mike (Kim) Paradine, Andrea (Jason) Whitney, Sue Mandez, and Mike Mandez; mother-in-law and father-in-law, Darlene and John Syers; stepsons, John Long and Art Long; many nieces and nephews. He was preceded in death by his step-daughter, Bobbi Long; and grandsons, Johnathan and Lorenzo Mayfield. Friends may meet with his family from 6-8pm Friday at the Winkel Funeral Home, Otsego. Cremation has taken place and burial will be at Fort Custer National Cemetery. 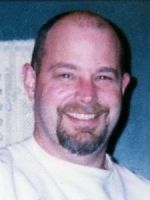 Contributions in memory of Bob may be made to Peace Lutheran Church of Otsego or a charity of your choice. 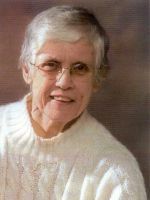 Betty J. Nichols of Otsego, Michigan, passed away Tuesday, March 24, 2015 in Otsego. She was born November 1, 1935 in Cheshire to Frank and Ruth (Mudgett) Trutsch and graduated from Allegan High School. For over 20 years she was employed at Alamo Nursing Home. On February 17, 1956 in Otsego she married Jack V. Nichols, who died in 2013. Also preceding her in death were her parents; a son, Ralph Nichols; a grandson, Ralph Nichols II; and a brother, Harold Trutsch. She is survived by her children, Esta Nichols and John (Heather) Nichols, both of Otsego, and Rose (Mike) Peters of Pullman; grandchildren, Amber (Jason) Breedveld, Thomas (Meghan) Nichols, Roxanne (Shawn) Quibell and Deanna (Gavin) Willard; four great-grandchildren; a sister, Martha Simpson; several nieces and nephews. Friends may meet with Betty’s family at the Winkel Funeral Home, Otsego, beginning at noon on Saturday, March 28, 2015 until the time of the service at 1:00 P.M. with celebrant Bill Rose officiating. Cremation will follow with burial of ashes at Fort Custer National Cemetery, Augusta. 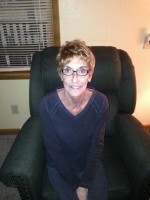 Contributions in memory of Betty may be made to the Otsego Rescue Fund. Jean Louise (Burgess) Taylor died peacefully on March 13, 2015. Jean was a resident at the assisted living home, Allegan Country Estates, for the past six years. 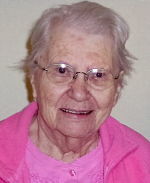 Jean was born in Otsego on June 29, 1922 to her parents, Alpha and Esther (Stratton) Burgess. Her only sibling, Beth Tallmadge Vote, survives and resides in Plainwell. Jean graduated from Otsego High School in 1940. The following year, she married Hugh A. Taylor, the boy next door, on February 25, 1941. They were a devoted, loving couple for 69 years. 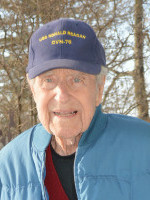 Hugh preceded her in death on September 28, 2010. Jean’s intermittent years of employment always seemed to involve cooking. “The Coffee Shop”, a restaurant in Otsego that Hugh and Jean owned was the beginning of her cooking career. She also cooked for the residents at the Alamo Nursing Home. Her favorite job was managing and cooking in the cafeteria at Kal Equip in Otsego. Jean’s favorite leisure activities were reading, crocheting, playing cards and traveling. She traveled with Hugh throughout the United States visiting family and friends. She thoroughly enjoyed an annual hunting trip to Wyoming with family and lifelong friends. Jean and her husband spent the winters in Las Vegas and Laughlin, Nevada for twenty fun-filled retirement years. Her summer months were spent with Hugh entertaining friends and family at their cabin in the woods near Indian River, Michigan. Jean was a wonderful, caring mother to her four surviving children: Jeanne (Richard) Burd of Silver Springs Shores, Florida, Hugh (Linda) Taylor of Mt. Holly, North Carolina, Pat Davis of Kalamazoo, and Mary (Kurt) Huston of Otsego. She was blessed with eleven grandchildren, twenty-two great grandchildren, and even a few great great grandchildren. She also has one surviving brother-in-law, Ralph (Pat) Taylor of Tampa, Florida, along with several nieces and nephews. 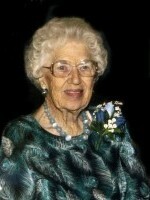 Jean had a wonderful ninety-two year life filled with love and happiness. There will be a graveside service with the burial of Jean’s ashes alongside her beloved Hugh at The Mountain Home Cemetery in Otsego at a later date. In lieu of flowers donations may be made to The Wings of Hope Hospice in Allegan. 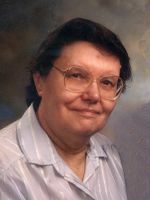 Louise Ann Henrickson of Kalamazoo, Michigan, passed away Friday, March 20, 2015 at her home. 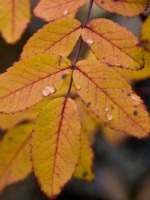 Mrs. Henrickson was born October 1, 1941 in Kalamazoo to Harry and Johanna (Aukes) Wood. For 35 years she was employed as a computer operator with The Upjohn Co, then Pfizer, retiring from the work that she loved in 2003. Louise was a member of The Salvation Army Church of Kalamazoo. In her leisure time she enjoyed needlecrafts, needle point, knitting and crocheting. On November 29, 1974 at the Salvation Army Church she married Wallace Henrickson and they had recently celebrated 40 years together. Surviving in addition to her husband are their daughter, Stacey (Jim) Kempker; grandchildren, Luke, Simon, Meredith and Matthew Kempker; a brother, Karl Wood; and a sister, Janet Witt. Donations in memory of Louise may be made to the Salvation Army. Ron passed away Tuesday, March 17, 2015 at his home in Otsego. He was born April 21 1931 in Chicago, IL to Harry and Agnes Nelson. Harry and Agnes raised Ron in South Haven, MI. Ron worked as a stonemason and bricklayer until he moved to the Florida Keys where he spent the rest of his working years as a shrimper and a deep sea diver who loved to treasure hunt. In his spare time he enjoyed playing his guitar, collecting coral and loved taking rides on his Indian motorcycle. Ron was an avid reader and creative writer. Surviving are his niece, Sherri Brazill of Otsego; his nephews, T.J. (Linda) Day, Chris Lang and Tim Lang, and his brother-in-law, L.W. Thomson and special friend Pattie. He was preceded in death by his parents; sisters, Dorris Thomson and Betty Lang; nephew, Bill Lang, and by his niece Joni Beth Lang. Contributions in memory of Ron may be made to Wings of Hope Hospice in Allegan or to the Michigan Maritime Museum in South Haven.